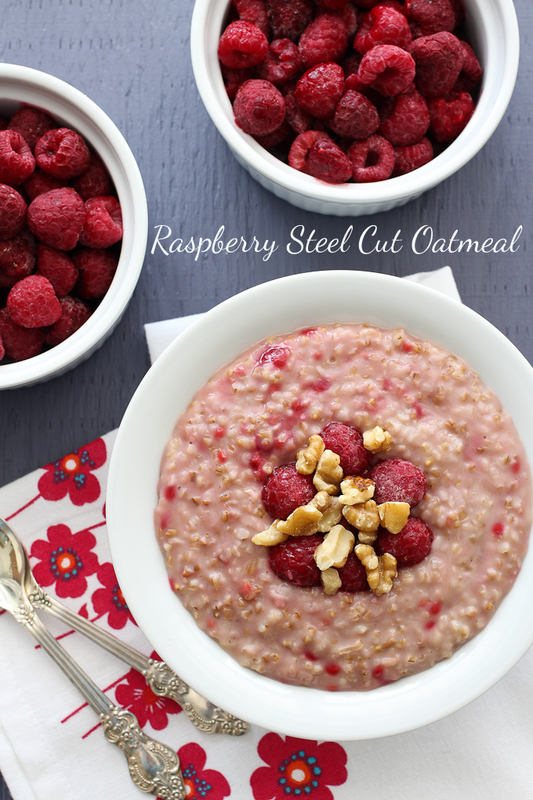 This raspberry steel cut oatmeal is filling and satisfying. 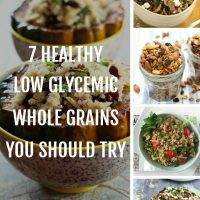 It’s a simple and comforting low GI meal that provides you with complex carbohydrates, protein, and fat (yes, fat – did you know that oats contain the highest amount of fat of all grains?). Oats are also said to normalize blood glucose and are high in fiber. 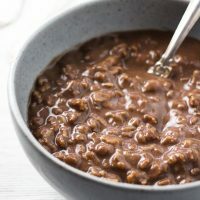 Oats is an all around awesome food that can be completely destroyed by food manufacturing industry and presented to us in the form of high GI instant oatmeal masquerading as healthy breakfast. Steel-cut oats, on the other hand, is one the best low GI foods you could have for breakfast. The only problem with steel-cut oats is that they take somewhat longer to cook. And if you are rushing to get everyone ready in the morning you probably don’t have time to cook steel-cut oats. In this case, you can prepare them in the evening and keep in the fridge overnight. 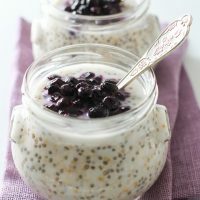 In theory, the glycemic index of steel-cut oats would increase slightly the next day compared to freshly prepared ones. 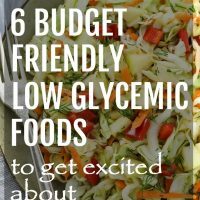 But they still will be healthy and filling. 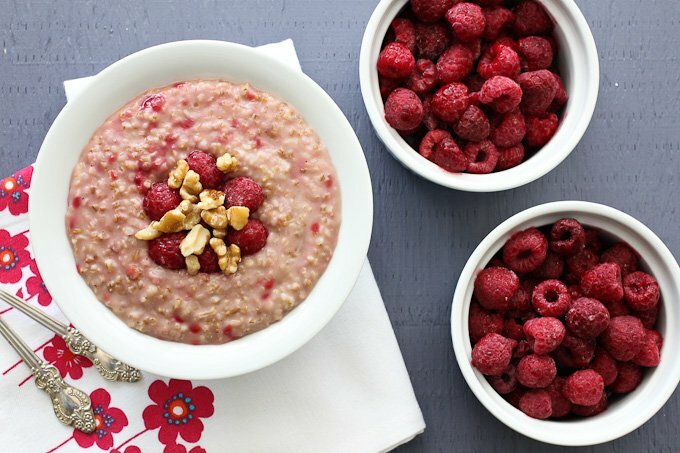 This raspberry steel cut oatmeal is filling and satisfying. It’s very easy to make, delicious, and comforting. 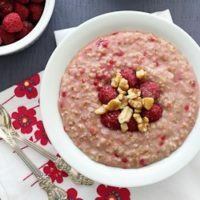 If you are using frozen raspberries, take them out of the freezer before you start cooking the oats. In a medium pot, melt the coconut oil over medium heat. Add the oats and cook stirring occasionally until the oats warm up and are covered in oil, for about 2 to 3 minutes. Add the milk, water, coconut sugar, and salt. Mix well. Bring to a boil. Reduce heat. Cover and simmer for about 20 minutes. Stir occasionally. Turn off the heat and let it stand covered for about 3 minutes. Add the vanilla extract and raspberries. 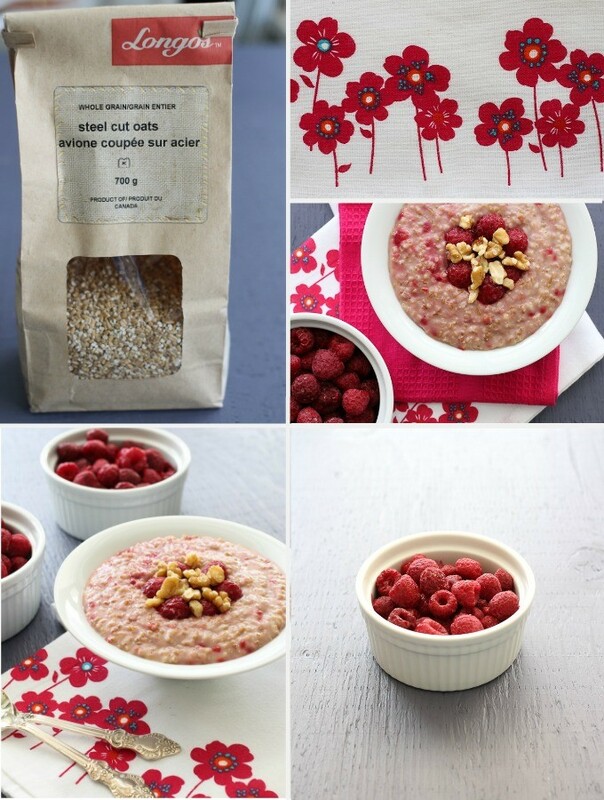 Mix well until the oats and raspberries are combined. Serve with 1 to 2 tablespoons of walnut pieces. Nutrition information is a rough estimate for 1 of 4 servings calculated for the steel cut oats made with almond milk. 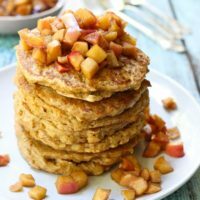 Can any other type of oat be used and have it still be healthy? I used the steel cut oats and the texture is a bit too crunchy for my taste. If cooked properly, steel cut oats shouldn’t be crunchy. You can try cooking them a bit longer (just add a bit more liquid). Otherwise, you can try regular rolled oats. Make sure that they are not instant or quick. Check the cooking time on the packaging. If it’s 8 minutes or longer, they should be good. The only steel cut oats I could find are 3 minute ones. Are these ok? 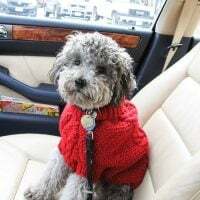 Can you tell me where you got yours please? Could half be reheated the next morning? Also, could lowfat milk be used? Yes, it can be reheated and low fat milk should be fine too. 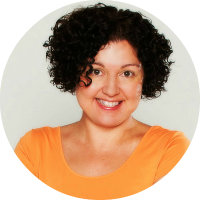 Made this in the crockpot….it’s great! So glad you like it, Cheryl! 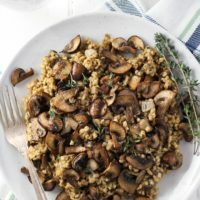 Can you tell me how you modified the recipe to make it crockpot-friendly? Uh oh, I didn’t know that quick cooking oats were not good for you – I thought I was being healthy by eating oatmeal every morning… I’m going to have to give this a try instead. And I love the raspberries – my favorite berries! Many people don’t know because quick oats are always advertised as healthy. It’s much better to use regular old fashioned oats. They don’t really take that much to cook either. Perfect! I’m eating the oatmeal now. Thank you for the recipe, Maria.